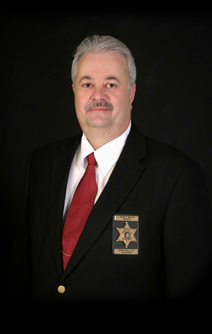 An audit of the money spent by Sheriff Scott Walls has exposed, among other issues, his illegal use of taxpayer money essentially as a personal expense account. In the audit dated January 2012-February 2014, 13 findings of non-compliance were found. On the taxpayers dime, auditors found where the sheriff’s department had purchased candy, coffee, and popcorn as well as lunches for employees and other courthouse staff. They also found where the departments warehouse was being used for non-law enforcement purposes after discovering it contained a 1960’s Corvette, home furniture, and a tractor. Auditors found some expenditures with no public purpose including a person’s $750 property tax bill was paid and a deputy traveling to Illinois to retrieve a vehicle for a private citizen without a warrant or court order. Auditors also found vehicle repairs for vehicles not listed on the sheriff’s or county vehicle inventory was paid for. Auditors also found where two guns were removed from the evidence room and traded with no record made as well as nine weapons that were sold or traded without a written court order. So, obviously the sheriff is being charged with embezzlement and awaiting trial, right? Of course not, apparently the only “punishment” he is receiving is having to pay back the money he stole to hold wild coffee and popcorn parties. Sheriff Walls claims that the audit where they found all that missing candy and lunch money was “politically motivated.” However, even though he disputes the exact amount he stole, he has admitted to owing (and payed back) $385. Normally when someone defrauds their employer and steals property they would face charges, plus be liable to pay back what they stole. Sounds like he is right that there’s political motives involved. shouldn’t the state police be arresting this guy? In a lawful and fair environment, certainly.